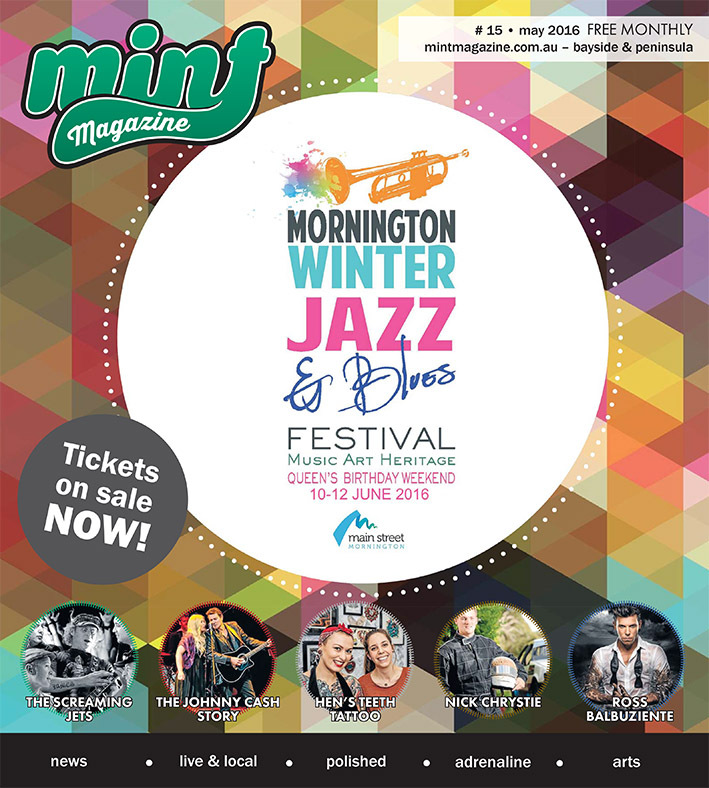 Mint is a FREE music, arts, events & entertainment magazine for the Mornington Peninsula & Bayside. Each month you will find a great guide to the best in music, arts and food… if it’s not in the magazine, it’s not really worth going to! Put together buy the Mornington Peninsula News Group and 15,000 copies are distributed throughout the Bayside and Mornington Peninsula.